The Library was showing the new window that now says, "Ellsworth Historical Museum." 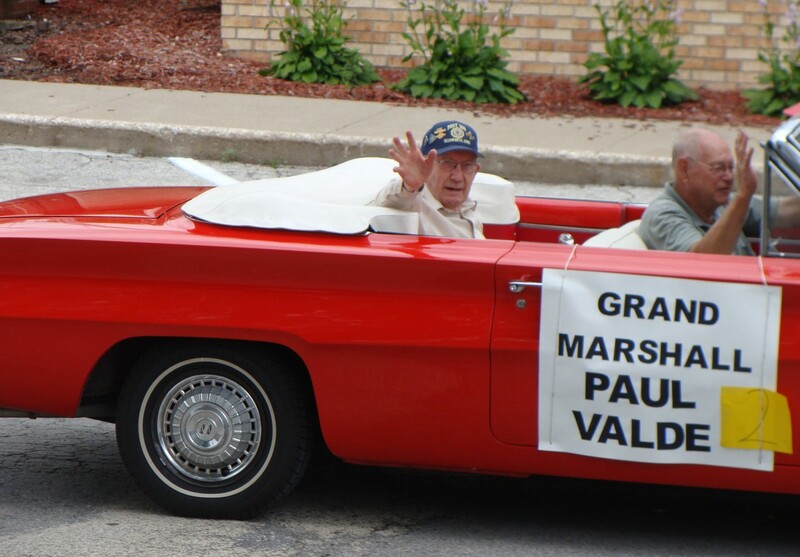 Paul Valde was the Grand Marshall of the 2014 parade. 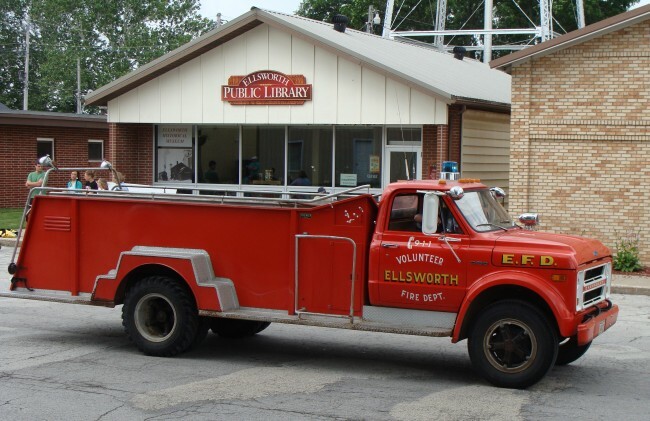 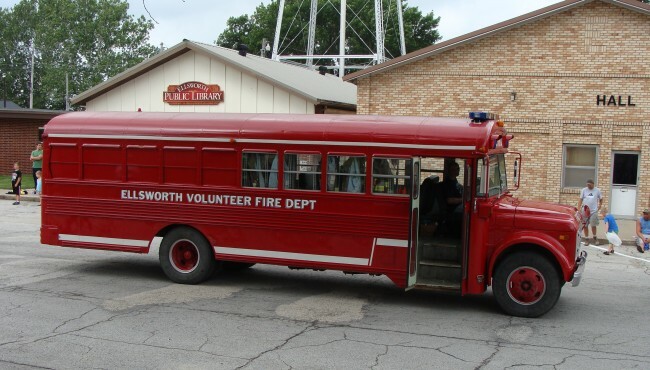 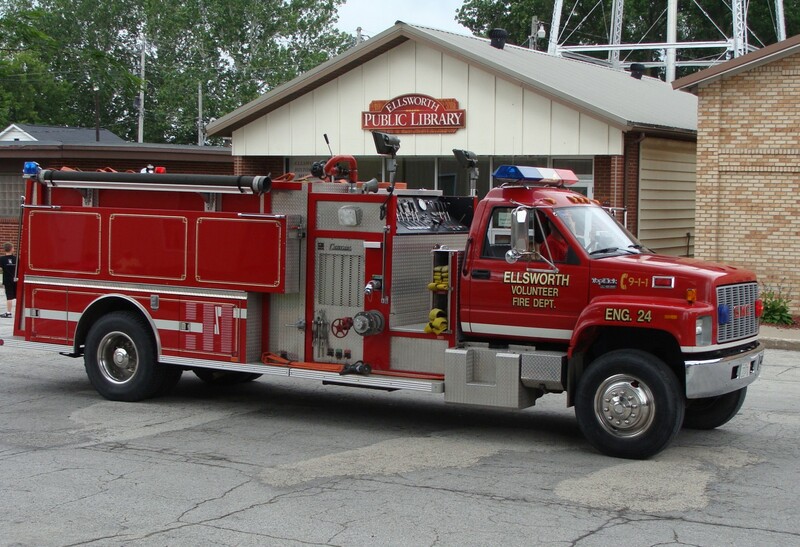 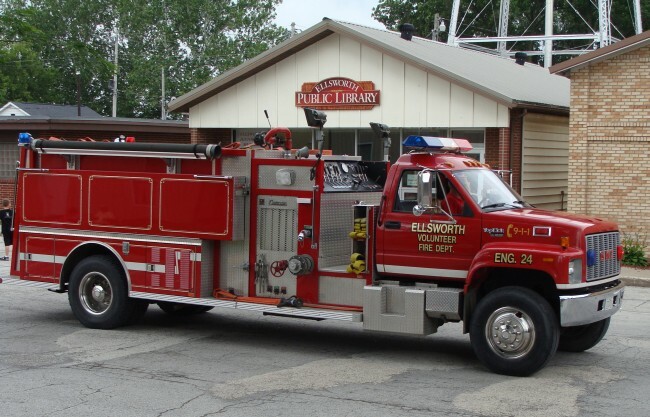 The Ellsworth Volunteer Fire Department was out in force, showing good equipment. 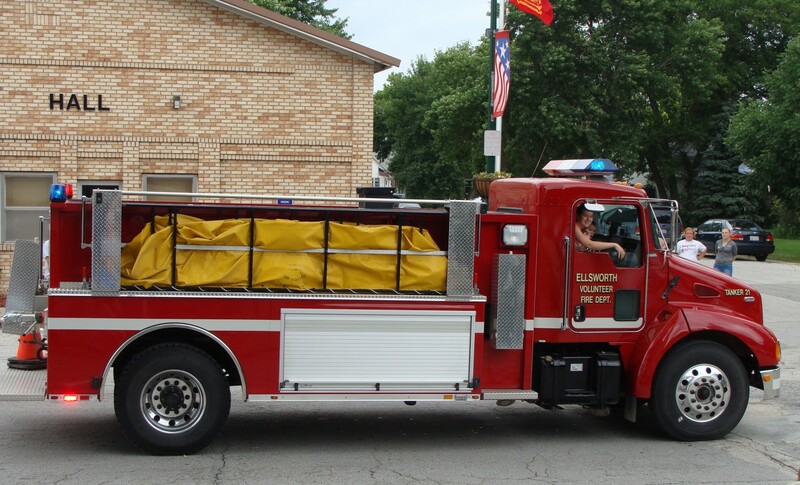 By Sunday afternoon, these same trucks were on the street again, but not for another parade. Instead, it was for another flooded town. The rain had put the park under water, and a number of streets were too wet to be travelled. 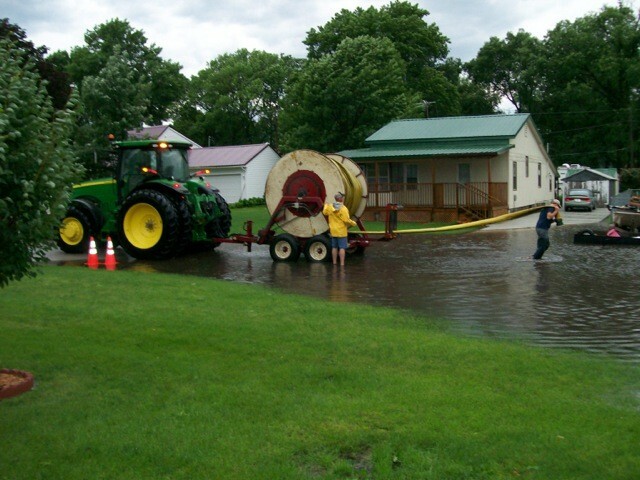 The city fire department pumpers were pumping water through the fire hoses to get it east of town. 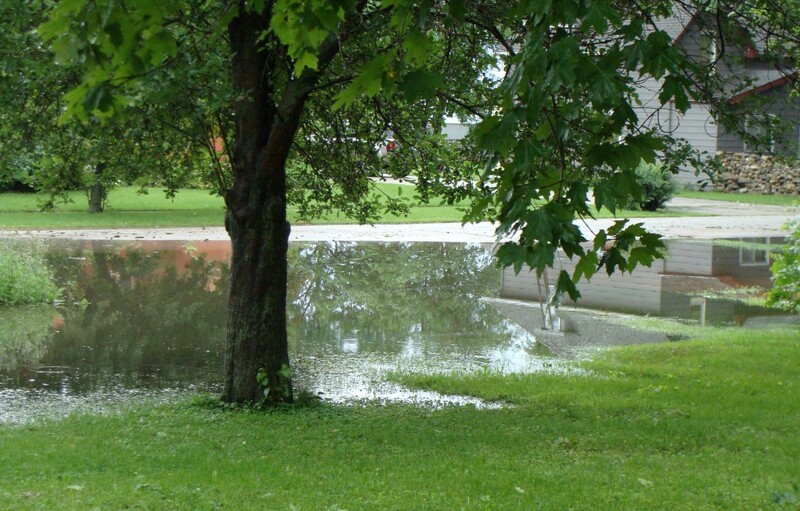 A common scene following the "water extravaganza." 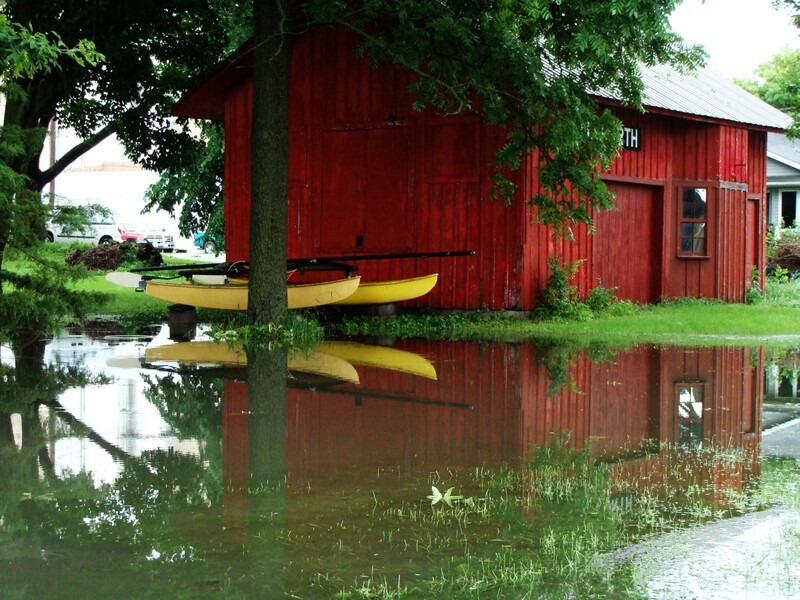 The sailboat seen parked by the old Callanan/Ellsworth Depot looks ready to float without being hauled to a lake. 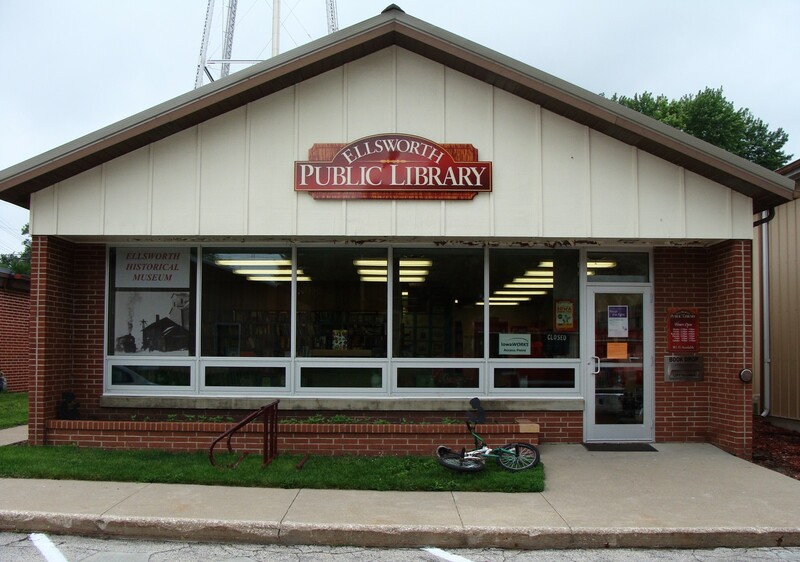 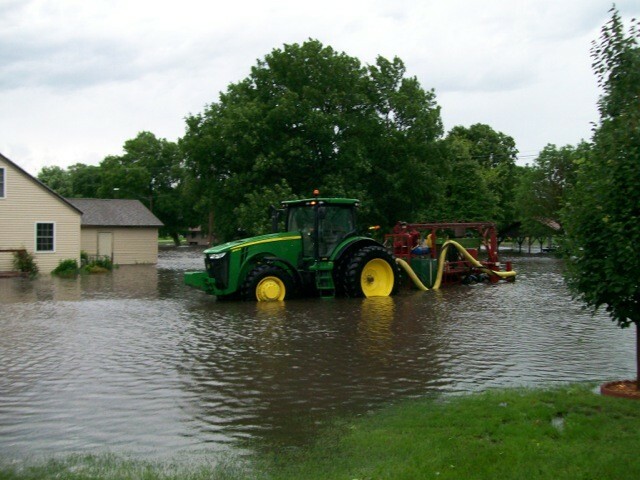 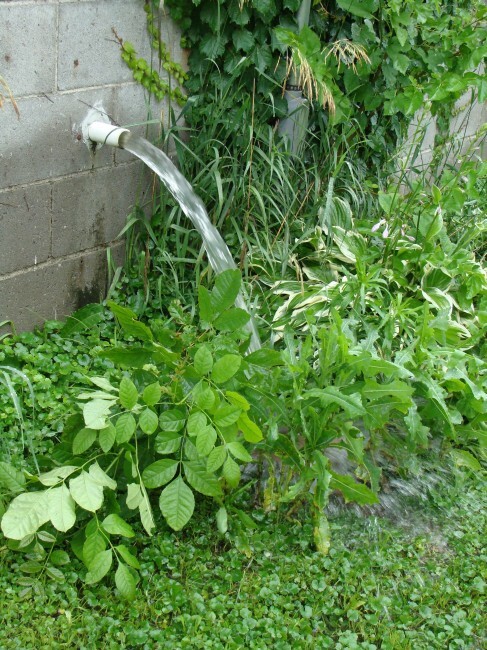 Throughout Ellsworth, one could see evidence of sump pumps working continually.